Practice and deepen a variety of mindfulness and meditation techniques for reducing stress, being more deeply present and cultivating greater peace of mind. 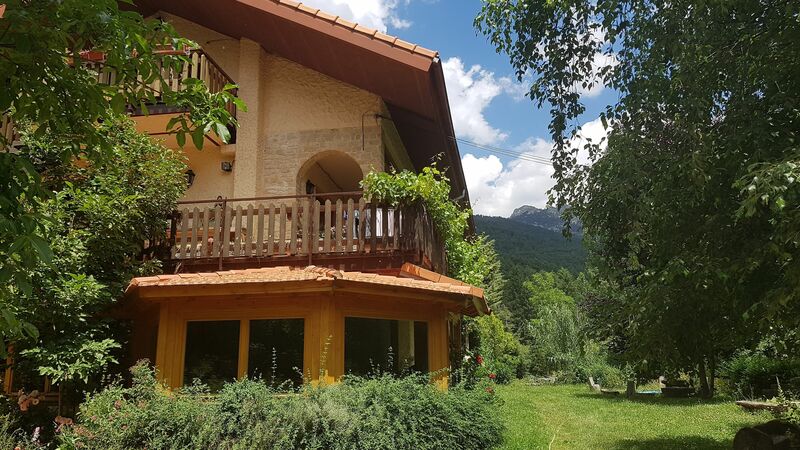 The retreat will be held in a beautiful green valley in Cercedilla and will be taught in English. The teacher, Darran Kilbride, has trained in world recognized meditation centers in the United States and Asia and has trained as a mindfulness teacher with the University of Massachusetts. The center is in a beautiful green valley in Cercedilla. It has a meditation hall and lots of outdoor space with views of the Siete Picos. Meditations will be around 30 minutes in length. We will start with guided meditations and gradually have less guidance over the day. The day will be mostly in silence and will focus mostly on practice. Over the day, we’ll do several different mindfulness meditation practices: sitting meditation, walking meditation, lying down body scan, gentle mindful movement and time out in nature. The teachings will include information from modern mindfulness courses and also from the Buddhist meditation tradition, the tradition that mindfulness comes from. The guidance will be in English. Darran has trained in world recognized meditation centers in the United States and Asia and has trained as a mindfulness teacher with the University of Massachusetts. Much of his training has been with teachers of Jon Kabat-Zinn (the person who first introduced mindfulness into mainstream Western settings, often called “the father of mindfulness in the West”). Darran teaches Mindfulness at IE University and teaches on the Mindfulness teacher training program of Universidad Rey Juan Carlos. This will be ideal for people who have some meditation experience. If you’ve done meditations of 30 minutes or more before, then this retreat is suitable for you. Sunday March 31st, 11:00 to 18:00. I know some people may need to be back in Madrid a bit earlier… those people can leave a bit earlier and get the 17:30 train and be back in Madrid before 19:00. The address is Camino del Río Pradillo 2, Cercedilla, 28479. When you sign up, we’ll email you more detailed information on how to get there. Please bring comfortable clothes and a packed lunch. We’ll open registration as soon as the date of the next daylong retreat is announced. To be notified when the next retreat is announced, join our newsletter using the blue box on this page.